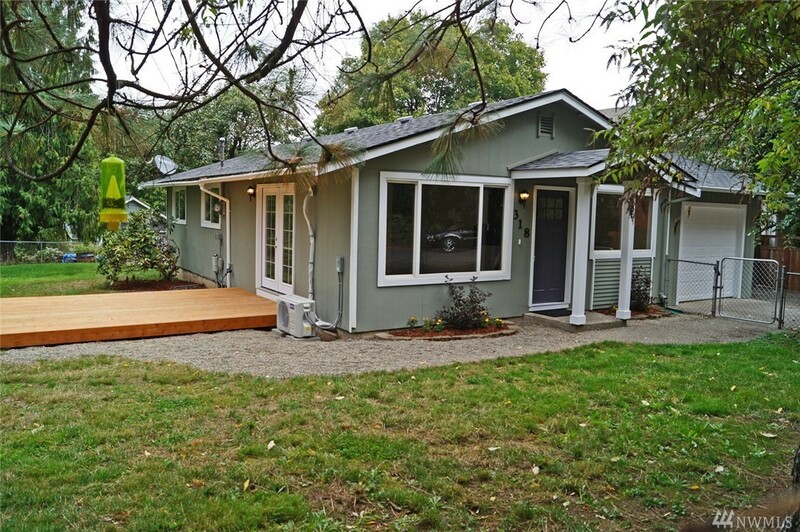 This totally updated 3 bedroom 1 bath home is located on a HUGE site on a quiet street. You name it & it's been done. The living room opens to a big deck thru double french doors, the kitchen is brand new & has a tons of cabinetry & a full array of stainless appliances. Lots of room for gardening in the totally fenced yard that includes a small orchard. Save on utility bills with the efficient ductless heat pump for heating & cooling.